The Grade 00 Muscle Mania fine motor skills development programme offers you a fine motor and pre-handwriting curriculum, to implement immediately. Because you know it is age appropriate and carefully graded by an occupational therapist, you do not need to be worried about presenting the children with activities that are not suitable. The just-right-challenge in the activities enables you to see improvements in fine motor and pre-handwriting skills right before your eyes. 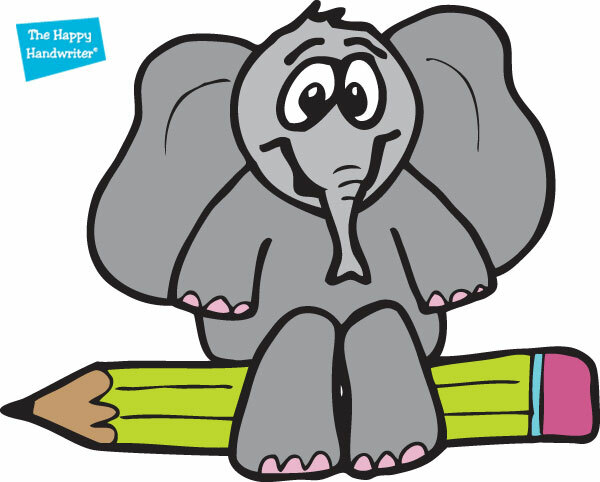 How Can you Help Preschoolers Develop Pre-Writing Skills? The children are engaged and enthralled by the developmentally appropriate fine motor challenges presented by Harry the elephant. Because they are completely engaged, the children participate with enthusiasm. As a result their fine motor and pre-handwriting skills improve and they feel empowered. Children who feel empowered gain confidence, and are more willing to take risks in other fine motor challenges offered in the classroom. The Grade 00 Muscle Mania programme was developed in direct response to teachers’ requests following the success of the Grade 0 programme. Adamant that their children would also benefit from this dynamic fine motor development programme, they did not rest until the Grade 00 Muscle Mania® programme was in place! What are People Saying About our Fine Motor Skills Development Programme? I have had the privilege of running the Grade 00 Muscle Mania® programme in the classroom since 2014. The inclusion of the Grade 00 programme into the school programme was requested following the amazing results of the Grade 0 programme. The lesson plans are easy to follow and carefully graded to facilitate the children’s skill acquisition of cutting and drawing of basic lines and shapes. The children thoroughly enjoy the lessons and are very proud of their end-products! Fun skill builder activities and games are incorporated into the lessons to develop their manipulative hand skills. The fine motor dexterity and control, along with visual-perceptual skills, developed through the fun lessons have proved to prepare the children for future handwriting skills. We have noted a significant improvement in the quality of the children’s handwriting since the implementation of the Muscle Mania® programmes. It is a superbly designed programme – perfect in every way to capture the attention of this age group and offering the age appropriate level of challenge to facilitate their skill development and motivation to succeed. The children have so much fun whilst developing their skills! I derive so much joy in sharing their fun, gains in skill and feelings of success. I offer this programme with the greatest confidence that the children will benefit from each and every lesson. Even if they are still young, this fine motor skills development programme has taken our children’s developmental needs into account and has pitched the activities right at their level. This is a bi-weekly, 3 term programme. It starts at the beginning of the second term and runs for the rest of the school year. 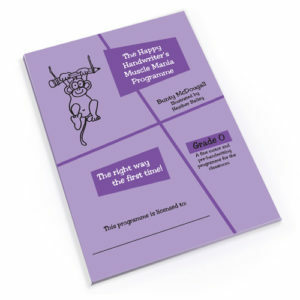 The programme develops our children’s fine motor and pre-handwriting skills. There is a strong focus on the development of the foundational lines and strokes for handwriting, along with development of the muscles and movement patterns required in preparation for pencil control for the upcoming Grade 0 year. The delightful elephant, Harry, takes the children on this journey. The programme also incorporates the basic visual-motor integration skills critical for the upcoming Reception year (Grade 0) programme. The Grade 00 teachers in the schools where this programme was trialled were not disappointed! And neither are the teachers in the schools that have subsequently incorporated the programme into their classrooms. The 48 easy to follow lesson plans with clearly defined fine motor goals, make it easy to implement. Carefully graded with catchy songs to accompany the activities, this is a hit with the teachers and children alike. This is a bi-weekly, 3 term programme. It starts at the beginning of the second term and runs for the rest of the school year. The programme develops our children’s fine motor and pre-handwriting skills. There is a strong focus on the development of the foundational lines and strokes for handwriting, along with development of the muscles and movement patterns required in preparation for pencil control for the upcoming Grade 0 year. The delightful elephant, Harry, takes the children on this journey. The programme also incorporates the basic visual-motor integration critical for the upcoming Reception year (Grade 0) programme. The Grade 00 teachers in the schools where this programme was trialed were not disappointed! The Muscle Mania Programme® Grade 00 is now here to facilitate your children’s fine motor development. The packages are made up according to the number of children in your class. Our smallest package is a 10 User Package. Click here to request a quote for a 24, 18, 12 or any customised sized User Package. Take a Peek Inside our Fine Motor Skills Development Programme!